It isn't often that you can get brothers to sit together quietly and read a book. Especially brothers who are four years apart! But that is exactly what happened when I gave my boys Joe Journeyman Volume 1 to look at and read. Joe Journeyman Volume 1 is an NFL-licensed search adventure series which tells the story of Joe Journeyman, the only player to play for all 32 NFL teams. My oldest was very impressed as I told him the story of Joe Journeyman. This book features 16 NFL teams, such as, Chicago Bears, Cincinnati Bengals, Buffalo Bills, Indianapolis Colts, Dallas Cowboys and more. 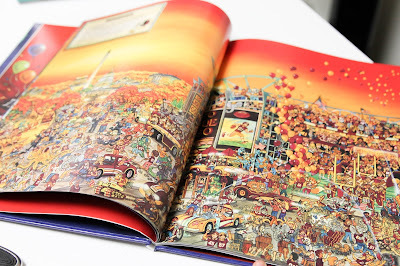 In the book readers are challenged to find Joe Journeyman, as well as his playbook, his friends, historical landmarks and all kinds of fun and crazy things! Each page is captivating and unique. 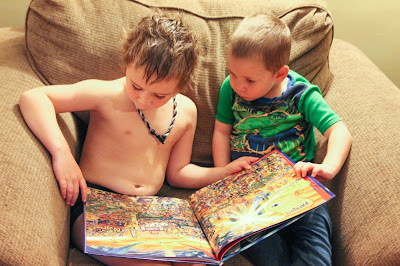 The hand drawn artwork and two page spread made it engaging for both my youngest and oldest sons. The two page spread makes it the perfect book for sharing. Even the younger ones can join in as there are no words to read, just engaging, silly, exciting, and funny pictures. 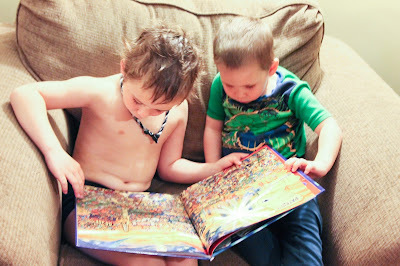 I loved this book even more when I learned that not only is this book for kids, it benefits kids! 10% of the profits support Joe's Kids, a 501c3 nonprofit pediatric rehabilitation facility and local children's hospitals around the country. I love supporting companies that give back in such a meaningful way. 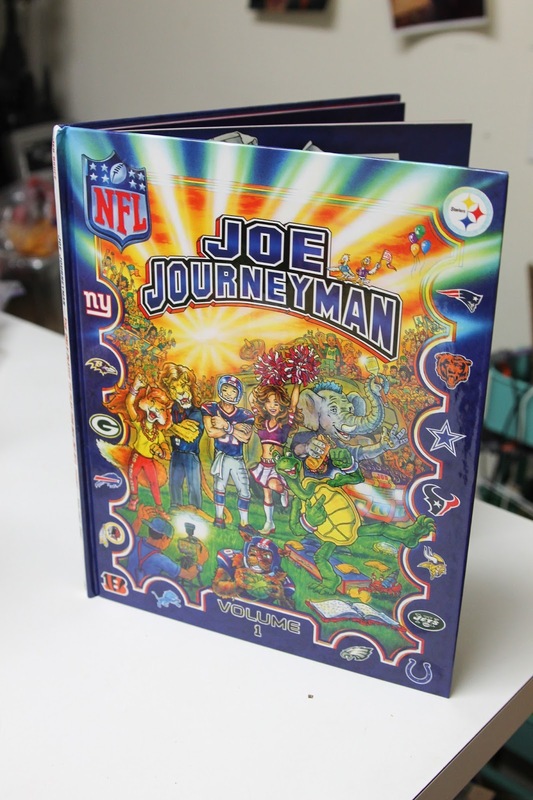 You and your kids will love Joe Journeyman Volume 1! Joe Journeyman Volume 2 will be released in 2016. Head over to JoeJourneyman.com to find more great products. Puzzles, posters, and caves prints for each team Joe played on. This book will be a fantastic addition to your library and the kids will enjoy it for years to come.